People across the country are encouraged to make small changes to their lifestyle and support organic to make a big difference for the environment, animal welfare and sustainable food. 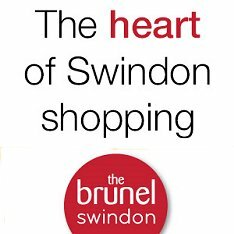 And where better to source home-grown, organic food than Swindon? The West Country has long been famed for its organic farming, and Swindon is no exception - the Soil Association even hold their annual conference here. Timely, then, that we've been out & about to find the best places in Swindon to go organic. 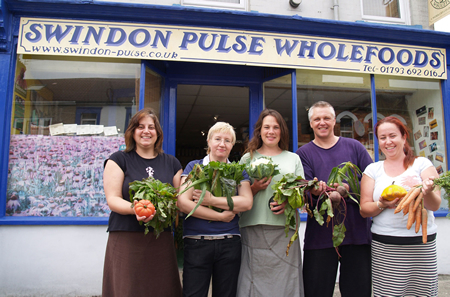 Swindon Pulse Wholefoods is one of Swindon’s leading providers of organic produce. But why is organic food so important? “Because you’re not eating pesticides, and it’s grown using sustainable methods,” says Colin from Swindon Pulse. With all these apparent benefits, organic shops such as Swindon Pulse should be thriving – but there’s still something stopping people switching to organic. Swindon Pulse started life in 1976 at Swindon’s old market, in the back of a Morris Minor van, and it’s stayed true to its hippy roots. One of Swindon Pulse’s main aims is to promote a healthy and affordable way of living – and it’s this ethos that has earned it a small yet loyal following. “Organic food doesn’t always look superior, actually it looks a bit manky sometimes, but it’s not about that – it’s about the taste, and it’s about the ethics of the thing,” says Colin. Other local organic produce comes from Helen Browning, who supplies food to Ocado, Sainsbury’s and Budgens, as well as the Royal Oak at Bishopstone; and Coleshill Organics, who operate a ‘veggie box’ scheme, which has been running for roughly 16 years and delivers to around 50 collection points within a 25 mile radius. Indeed, Swindon Pulse sources some of its fruit and vegetables from Coleshill Organics, as well as the local Purton House. “People come here because we specialise in not only organics, we also do a lot of special diet stuff, like gluten free and dairy free." Tucked away off the beaten track in Bishopstone, the Royal Oak is the only place within 10 miles of Swindon on the Good Food Guide 2016. Run by the chairman of the Soil Association, Helen Browning, its organic credentials are without question! 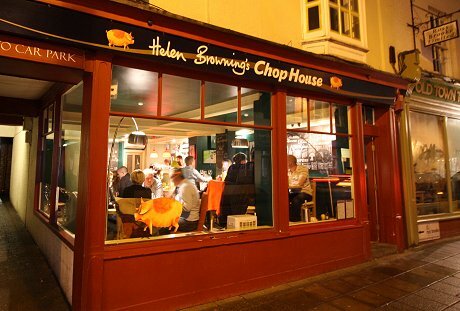 Plus.... new in 2016, bringing organic to Old Town, Swindon, is the Helen Browning Chop House. Swindon's local organic and Fairtrade shop since 1976, who also specialise in gluten and diary-free products. You've probably spotted this name on the organic bacon and speedy sausages in the likes of Sainsbury’s, Ocado, Budgens and Tescos. All produced on the award-winning 1,400 acre farm just outside Swindon. They've even won a top accolade for their hot dogs! The name Helen Browning is synonymous with top quality and her organic sausages do not disappoint. All are made preservative-free and contain only organic meat from their Bishopstone farm mixed with organic seasonings and spices. Some are even gluten free. Best of all, their organic hot dog won Best Innovative Sausage in the British Sausage Week Awards 2014, beating stiff competition from 500 butchers and retailers across the country! Helen Browning’s organic Speedy Sausages are also available in Sainsbury and Tesco or order online. 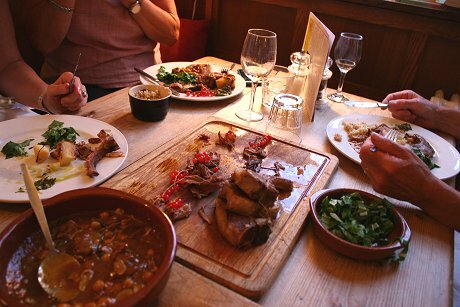 Best of all pop into Helen Browning's pub, The Royal Oak in Bishopstone, to try. Locally grown and delivered fresh straight to your door. Bunched carrots, courgettes, runner beans, cherry tomatoes - just a few of over 80 freshly grown, organic vegetables on offer here, with doorstep delivery throughout Swindon.